Today the Supreme Court of the United States delivered President Obama a nice little package all wrapped up in a bow - a landmark victory in declaring the constitutionality of the Affordable Care Act (ObamaCare). While this is clearly a victory in this particular battle, will this be the catalyst needed to bring the conservative base back to the rolling boil it was before the 2010 mid-term election? Chief Justice John Roberts began by stating the use of the Commerce Clause of the Constitution to justify this act was indeed unconstitutional. But, he quickly followed with declaring, what Obama had previously denied, the individual mandate penalty to be a tax and not a regulatory fee and thus constitutional. During the debate over healthcare in 2009, President Obama told ABC's George Stephanopolis in no uncertain terms, the penalties for failing to comply with the individual mandate. But now, the court says this is the only way the mandate is constitutional. Now Obama is left with a very public declaration that he has now signed into law, the largest tax increase against the middle class in US history. This is a clear violation of his continuous promise to never raise taxes on anyone making less than $200,000 per year. The stage is now set for a monumental showdown over the direction we want our country to take. Are we going to settle for Obama taking us further down the path to socialism? Or, are we going to put a stop to this nonsense by tossing him out of office and replacing him and the Democrat controlled US Senate. The majority of Americans oppose the individual mandate. They already knew it was a tax on the middle class. Chief Justice Roberts has now confirmed this. 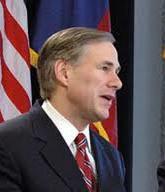 Texas Attorney General Greg Abbott declared this decision to be a "historic victory" because of the taxation clarification. In a statement released from Austin today Abbott proclaimed, "This is an historic victory for individual liberty, states’ rights, and limited government. Today the Supreme Court made crystal clear that the federal government is more restrained than yesterday and yet, through a novel application of the facts, the Court did what Congress was afraid to do--called ObamaCare a tax on all Americans. This is particularly ironic since President Obama, himself, insisted this was not a tax." Congressman Ted Poe (R-TX 2nd District) said today in a press release that the fate of ObamaCare now "lies with the American people." "The individual mandate creates a new tax that American families and businesses cannot afford. The last thing the people need right now is more government taxes. The President’s nationalized health care law also gives control of health care decisions to a group of unelected bureaucrats and increases health care costs for American families and small businesses at a time when they should be focused on hiring more employees." 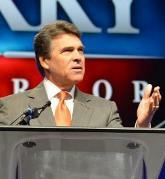 Texas Governor Rick Perry called the Supreme Court's decision a "stomach punch to the American economy." Clearly he believes more government spending will prolong or worsen the current economic climate. "It is a shocking disappointment to freedom-loving Americans desperate to get our country back on track. Obamacare is bad for the economy, bad for health care, bad for freedom." US Senate Candidates Ted Cruz and David Dewhurst were quick to point to this decision as to the reason why they should be elected to the Senate to replace the retiring Senator Kay Bailey Hutchison. One thing is clear, if we are to repeal ObamaCare, we will have to become the majority party in the Senate, and not just by a few votes. Lt. Governor David Dewsurst released a statement today stating, "The Nancy Pelosi Congress and President Obama lied to the American people, denying that this disastrous mandate was a tax. Washington, D.C. insiders have been misleading Americans far too long, and it's time to clean house. Obamacare has been a disaster since it was passed - increasing America’s tax burden to cover the out of control costs. Obamacare has further weakened our economy, and as the next U.S. Senator from Texas, I will lead the charge in repealing this atrocity." Former Texas Soliciter General Ted Cruz had this to say, "Today's decision underscores what we have been saying all along: the solution to Obamacare will come from the people. All across America, citizens are rising up to take back our country, to defend liberty, and to roll back the out-of-control federal government." Texas can send a message to the President next month that we are coming after him with a raging force by turning out in massive numbers for the Senate Primary Runoff Election. Voter turnout is expected to be low and a large turnout would send a very clear signal. "The decision marks a turning point in constitutional history. The Supreme Court rebuked a runaway federal government that tried to hijack the Constitution by imposing an unprecedented requirement forcing Americans to buy a product against their will. In doing so, the Court dismantled the centerpiece of ObamaCare—the federal government’s authority to compel Americans to purchase a product." "The Court also agreed that States are individual sovereigns that cannot be commandeered by the federal government. In this instance, by forcing States to expand Medicaid, the federal government tried to hold States hostage." "Our challenge to ObamaCare was never about healthcare or insurance – it was about the rule of law and a fight against a federal government that continues to expand. In this respect, today’s decision was a total victory. As the federal government seeks to impose the remainder of ObamaCare, it must do so within the limits prescribed by the Constitution." "Although the individual mandate was ruled unconstitutional, the remainder of ObamaCare may be on life support—and we will continue our work to pull the plug on this unworkable and unpopular law. It is time for Congress to step in and end the ObamaCare nightmare by repealing an unprecedented tax on all Americans." We have a clear choice in November. A choice to follow the path of Greece and Italy into economic disaster caused from runaway government spending or to take back the reins of our country guaranteed to us by our Constitution. We must elect a strong majority to the Senate, keep control of the House and then replace Obama with Mitt Romney. During this process we must remind all candidates for Congress that when they are elected, they report to us and not to the President. We must enforce a strict control on the Congress to keep any President from taking us further down this path. In fact, the course must be reversed and reversed quickly. This can only be done if We the People take hold of our duty to vote and control our elected officials. We cannot sit back and expect someone else to do it for us. It is for us to take responsibility for our government. Today is the beginning of the end for the Obama Administration. Chief Justice Roberts has perhaps all but guaranteed a landslide defeat for Obama. But only if we do our part and vote.